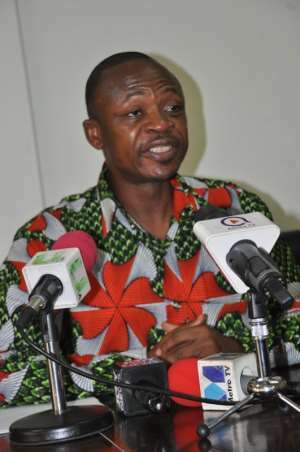 The Teachers and Educational Workers' Union (TEWU) of the Trades Union Congress on Wednesday called on government to stop professional teachers from leaving the classroom to perform non-teaching jobs. The Union said most teachers who were sponsored to undertake further studies on their return, instead of going back to the classrooms to teach, applied for positions in the offices, which should be performed by the non-teaching staff. 'This situation does not help in the achievement of the goal of government to give quality education to the citizenry. 'We call on government to take the necessary steps to reverse the trend and get teachers back into the classrooms and allow non-teaching personnel to perform their administrative functions,' the Union said. Mr Augustine Saakuur Karbo, the TEWU General Secretary, made the call in Accra at a press briefing on the topic: 'Promoting Healthy Industrial Relations with Our Social Partners in 2018 and Beyond'. 'Why should teachers for core subjects like Mathematics, English, Social Studies and Integrated Science leave the classrooms and take up duties in the metropolitan, municipal, district, and regional education offices as human resource personnel while non-teaching staff in administration with qualifications in Human Resource Management and Public Administration are put in registries to pick files,' he said. He said TEWU would continue to engage government and all stakeholders in a mature manner in building consensus with the view to resolving issues affecting the conditions of service of members. Touching on the Union's Fund, he said the national leadership had introduced the hire purchase programme and soft loans to enable members to meet their financial needs in terms of helping their children to go to school, pay medical bills and other general expenses. Mr Karbo said the conditions of service for public universities and the Ghana Education Service had expired and expressed the hope that their meeting with the Fair Wages and Salaries Commission and all the stakeholders would quicken the adoption of a revised condition of service for its members. He commended the Government for initiating the Free Senior High School Policy and called for stakeholder involvement to ensure its fruitful implementation. He urged the Government to expand the existing infrastructure to accommodate the growing numbers of the students since the current infrastructure could not support the growth in student population. Mr Karbo appealed to the Government to employ personnel to occupy vacancies in the Ghana Education Service to enhance effective teaching and learning. He said in some schools there was only one driver to about five vehicles, one or two security personnel responsible for a whole school compound, one matron and about six cooks cooking for more than a thousand students and using firewood to cook. He expressed TEWU's disgust to the recent issue of some matrons stealing foodstuff in schools, stating that it did not endorse any wrongdoing and hope the necessary administrative mechanisms would be evoked in addressing those issues.